By 1975, Marc Bolan's glam star had well and truly faded. His initial experiments with soul and funk stylings on 1974's commercially unsuccessful "Zinc Alloy & The Hidden Riders Of Tomorrow" were built upon here in a similarly disappointing outing, sales-wise. Here, though, the emphasis would seem to be on a more stripped back but poppy sound. 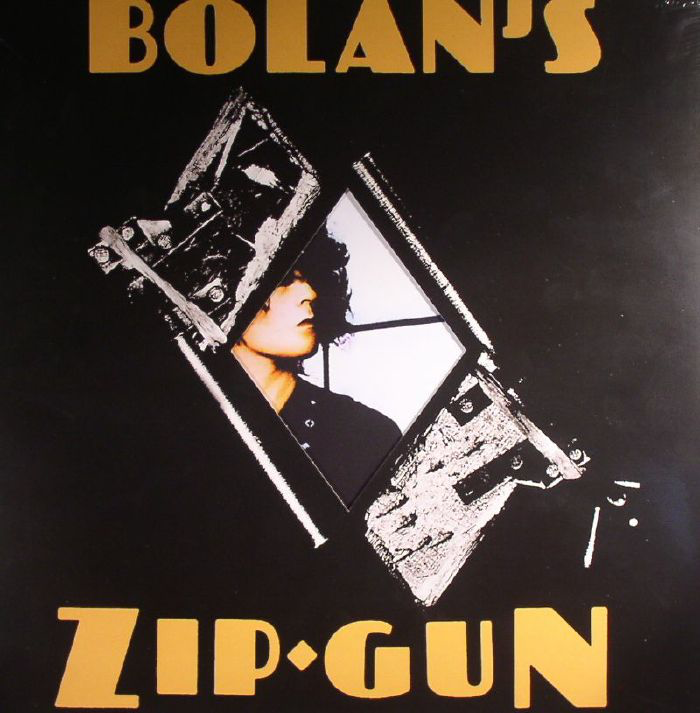 "Bolan's Zip Gun" is often described as his "soul album" but I can't really see it. A bit here and there, but basically it is slowed-down pop rock with VERY loud female backing vocals. The ubiquitous penchant for two-three minute songs with relatively repetitive, often bizarre lyrics remained (as indeed it would throughout his career). However, there was a distinct lack of those "Jeepster"- style trademark riffs from 1971-73 that brought so much singles chart success. The single "Light Of Love" had a bit of a "soulful rock" feel to it, as indeed did the upbeat "Solid Baby", although the latter is more rocky. "Precious Star" is jaunty but pretty ineffectual. "Token Of My Love" is more blues rock than soul, and, as with all the material on this album, those screeching female backing voices dominate, which can be a bit off-putting. To be honest, the songs would have been better served without them, or at least render them a bit more subtle. "Space Boss" is a soully saxophone-laden swirl with a heavy bass line and an almost "wall of sound" sonic crash. Soul hints, maybe, but it wouldn't have made it onto "Young Americans"! An interesting track all the same. "Think Zinc" utilises saxophone in a similar way. Still more rock than soul, though. "Till Dawn" is not a bad song, but spoilt by some awful production on Bolan's voice. Lyrically and constructively, it has T.Rex written all over it, so not too much of a change. There is no doubt who this is. Again, a nice bass line underpins it. By "Girl In The Thunderbolt Suit" (which has a nice Bolan riff by the way), one is getting highly fed up of those backing voices! It is the lasting memory of the album. "Zip Gun Boogie" was an ok Bolan single, but again, no doubt who it was, doing the same sort of stuff, certainly singles-wise. "I Really Love You Babe" is another potentially good song somewhat spoiled. "Zinc Alloy" really is a much better album, both in song quality and in production. "Golden Belt" redeems things somewhat, with a funky bass-driven intro and a sort of jazzy soul feel to it. My favourite on the album. * Non-album tracks include the soul cover of Otis Redding's "Dock Of The Bay" and a funked up, bongo-ish cover of Cliff Richard's "Do You Wanna Dance". 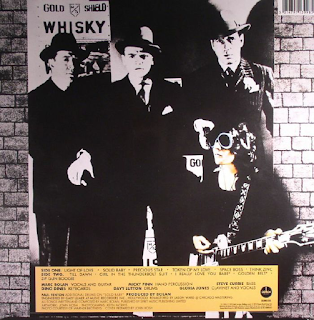 Unlike "Electric Warrior", "The Slider", "Tanx" and "Zinc Alloy", this album has not been given that beautiful, bassy Tony Visconti remastering treatment, which is a shame, because it sounds much tinnier than that quartet. It is ok, but not as wonderful as Visconti's remasterings. Listening to it now, many years later, it is easy to see why it didn't really do very well. There is a half-baked feel to it, but now I find it has a sort of "faded glory" appeal to it.